Education and mentorship helped a young Hispanic girl who dreamed of going to the U.S. Air Force Academy not only achieve her dreams, but also earn the rank of major general and the position of deputy A2, Intelligence, Surveillance and Reconnaissance for Air Force Headquarters at the Pentagon. In honor of National Hispanic Heritage Month, observed from Sept. 15 to Oct. 15, Maj. Gen. Linda Urrutia-Varhall shared the lessons she learned at the Academy, at luncheons and at other events, hoping to pay it forward to junior enlisted and officers, especially those in the Hispanic community. Growing up in Pueblo, Colorado, Urrutia-Varhall said her biggest role models were her parents. She said she got her work ethic from her hard-working parents, adding that her mother is the smartest person she knows. Her relatives didn’t really leave Pueblo, but she wanted more. In 1974, at the age of 13, she and her uncle went to visit the Academy. She said her parents told her she could be anything she wanted to be. 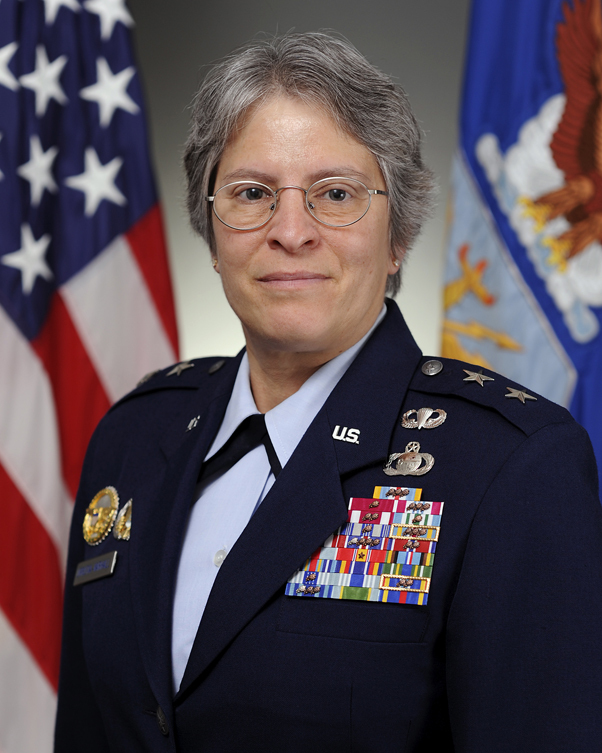 Her other role model was Lt. Gen. Norma Brown, who, in 1974, became the first woman to command an Air Force wing. Urrutia-Varhall said her ancestors came up from Mexico after arriving from the Basque region of Spain, settling in Colorado for a generation as pickers at a farm and then working long hours at the steel mill in Pueblo. She said the Air Force was an easy transition for her because the Spanish culture is all about family, and she gets that feeling with the military. The biggest challenge in the military is obtaining the balance of family and career, she said. “I’ve been blessed to have met a great man who said he would follow me wherever I went and support me and my career,” Urrutia-Varhall said. The general encourages all Hispanics, as well as all children of all ethnicities, to stay in school and get their education. 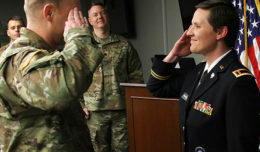 The general said she wouldn’t be in the position she’s in today if it hadn’t been for mentors such as her parents, third grade teacher, air officer commander or husband.